Lieutenant Colonel Andrzej Pawłowski was born in 1972 in Miechów. In 1997 he graduated from the Police Academy in Szczytno. He is a graduate of the Faculty of Management and Administration in the Jan Kochanowski Teacher Training College in Kielce (in 2000). In 2009 he completed post-graduate studies in crisis management at the Police Academy in Szczytno and in 2010 he completed Internal Security Studies at the Law Faculty of the University of Social Sciences and Humanities in Warsaw. He has been involved in tasks related to crime prevention since he started his professional career in 1993. He served in the County Police Headquarters in Miechów and then in 1997 he started working in the Police Training Centre in Legionowo: in the Traffic Police Department and since 2004 he worked in the Department of Policing. 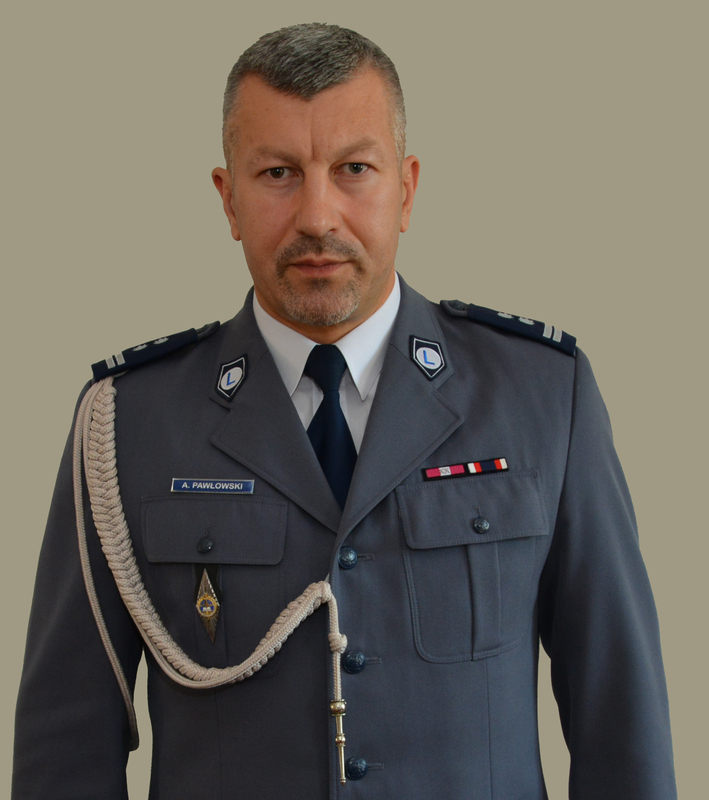 Since 15 February 2018 he has been acting Chancellor at the Police Academy in Szczytno, and has been appointed to the position as of March 1, 2018. He has a long-standing professional experience in internal security. He is an author of numerous publications on police issues related to security and crime prevention.